Inshore on the flats of the Mosquito Lagoon, water levels are starting to drop and the water clarity is cleaning up in some areas. These concentrations make for some tight schools, but shallow conditions also make access both difficult and dangerous for those who do not know the area. On colder days, falling water temperatures force fish to seek deeper locations in search the warmest water they can find, and they become very sluggish. As the sun warms the water, all it takes is a degree or two of change and the fish begin to move and feed in the shallows. On the sunny mornings it is not uncommon to find redfish and trout holding in the sand pockets or potholes within the shallow flats where water temperatures raise is warmer. 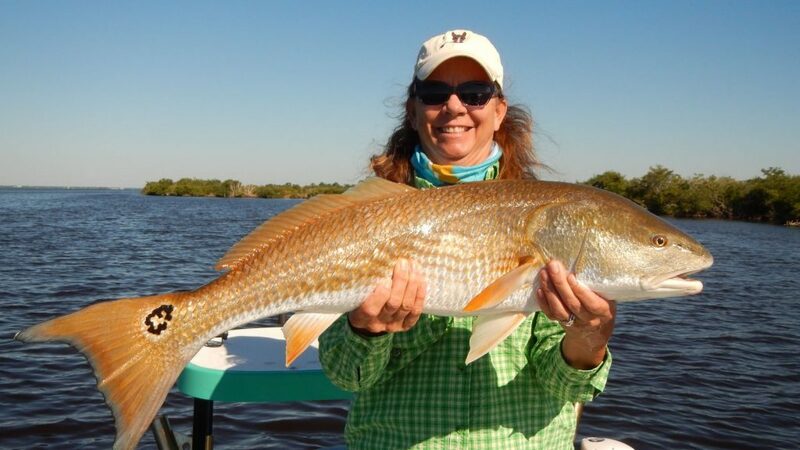 Additionally, warming water temperatures combined with sunny spring days and clear water make February one of the best months to site fish for redfish, large sea trout, and black drum on the lagoon flats. Offshore, kingfish are still present along the inshore reefs and wrecks, and they will remain there as long as the water temperature stays above 68 degrees. When targeting kingfish this month focus your efforts on the areas of 8A Reef, Pelican Flats, and Bethel Shoals to the south for best results. Look for cobia and amberjack to be present on the inshore wrecks like the Carol Lee, Dutch, and Sub Wreck out of Port Canaveral. Additionally, live bait is tough to find this time of year, so always carry a box of frozen Spanish sardines with you as backup. 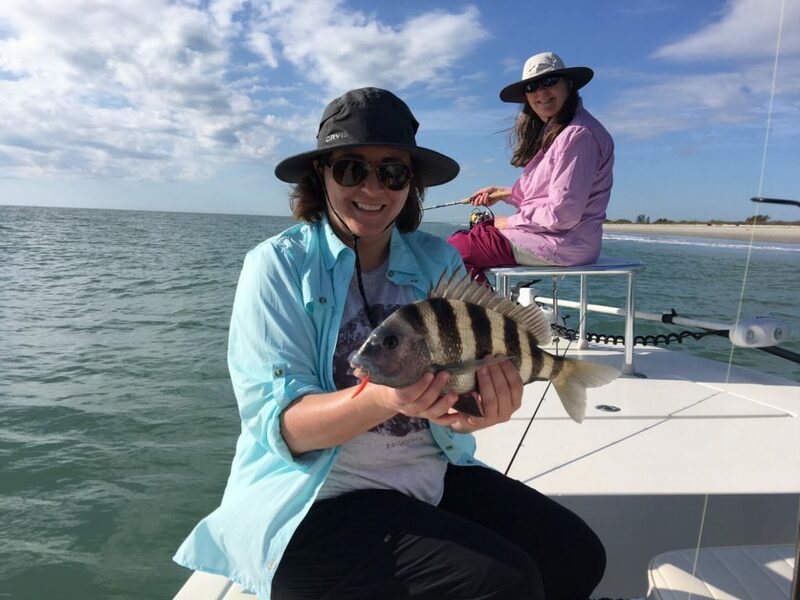 Near-shore look for tripletail concentrations to improve greatly along the Port Canaveral buoy line and under floating weeds and structures, and for cobia to move in shadowing manta rays if the surface water temperatures reach the upper sixties. 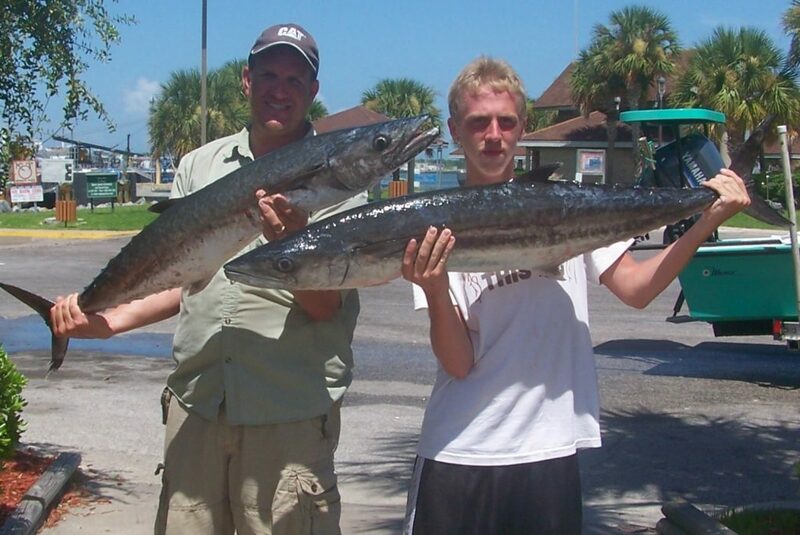 Now is also the time for shore fisherman to target pompano, bluefish, weakfish, small black drum, sheepshead, Spanish mackerel and whiting in the surf and larger redfish and flounder around the inlets and jetties. Finally, windy days in February are great times to check out those freshwater fishing holes on the St Johns River. Currently good catches speckled perch are being reported, and the America shad bite is improving. Water levels have been on the low side this year, but today we are experiencing a full day of rain which will increase both water levels and flow rate. 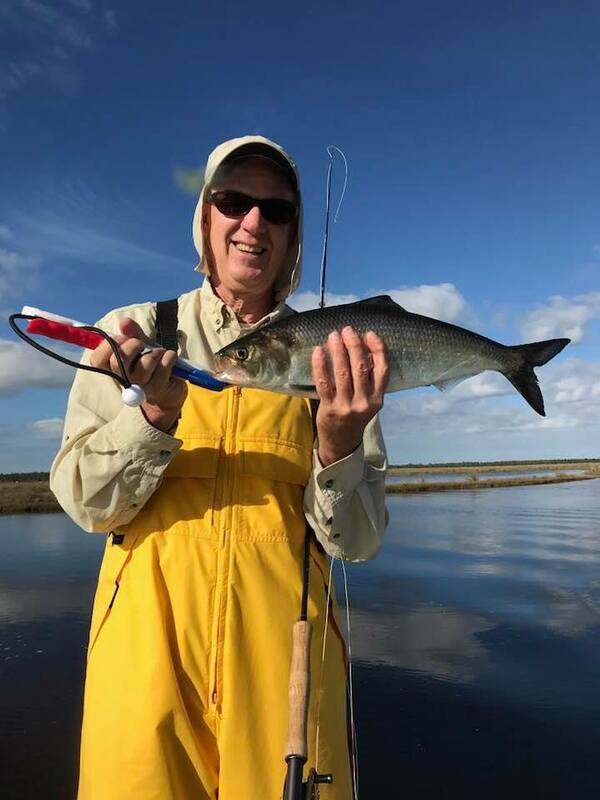 Thus far the shad bite has been intermittent, but as the rate of flow increases, the shad will be moving up into the Econ and upper St Johns River south of Hwy 50. As always, if you need more information or have any questions, please contact me.